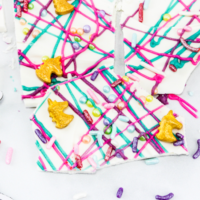 Unicorn Bark is a magical pastel colored treat full of shimmer, sprinkles, and unicorns that make any event fun and full of magic! 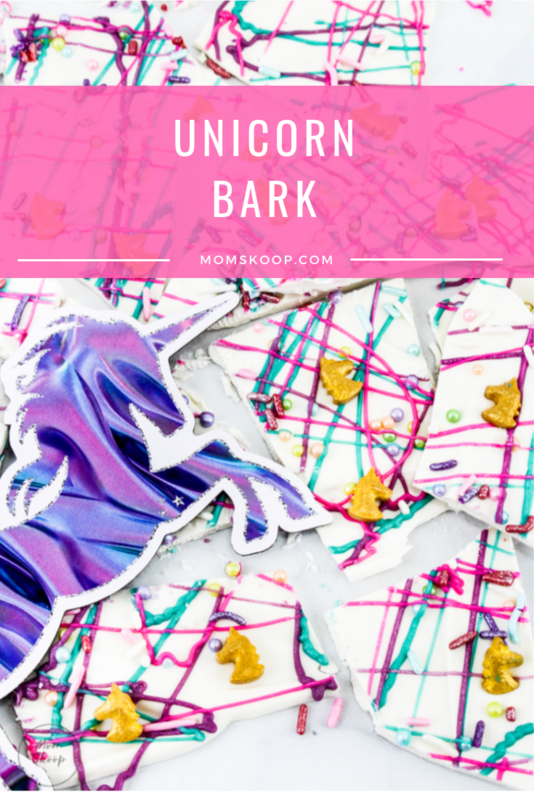 Making Unicorn Bark is so much fun and easy to do! 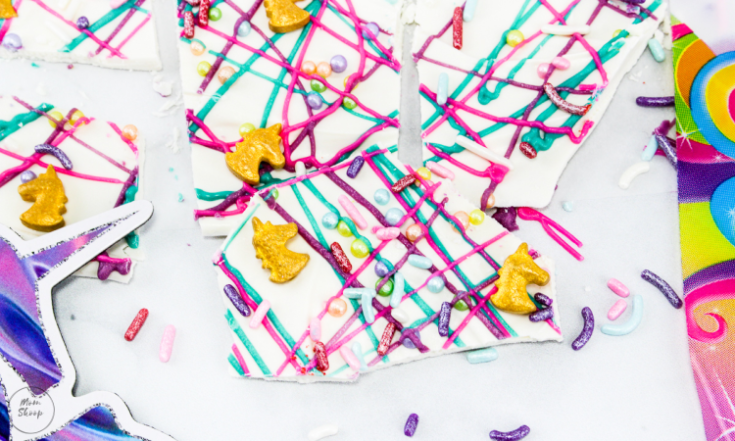 Unicorn Bark is full of bright and shiny candy, sprinkles and pastel colors. 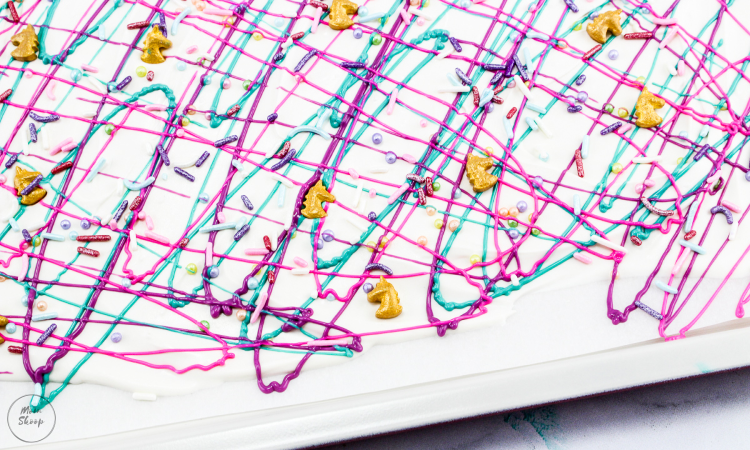 This whimsical dessert is great not only for birthdays but would also work perfectly for a Spring party or for an Easter celebration! 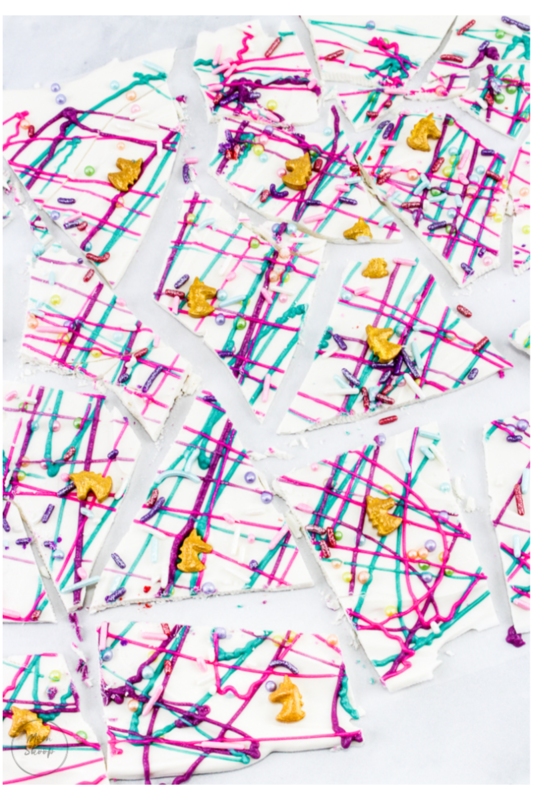 Candy bark is a semi-hard or hard candy which has yummy goodies like sprinkles, nuts, and candy embedded in it. Kinda like a rough tree “bark”. WHAT IS WHITE CANDY COATING? 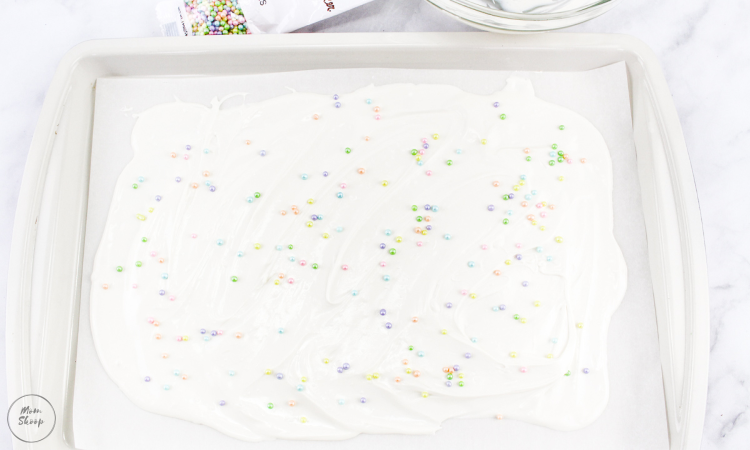 White candy coating is a confectionary candy coating. It is very easy to melt and doesn’t need tempering. 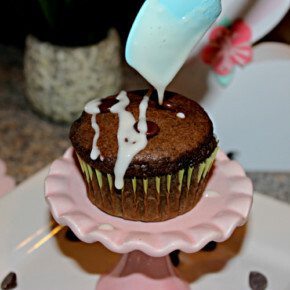 White confectionary candy coatings contain vegetable oil, milk, and sugar. 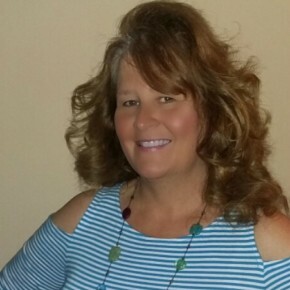 DO I HAVE TO USE THE SAME COLORS OF CANDY WAFERS AS YOU DID? No, you definitely don’t have to! 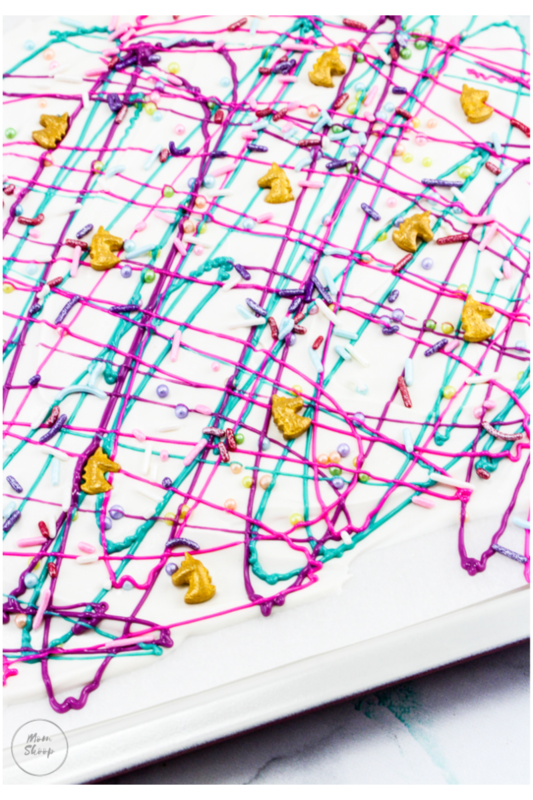 The great thing about making Unicorn Bark is that you can make it with any color combinations that you would like! On a parchment lined cookie sheet, spread the white melted chocolate evenly over the parchment paper. 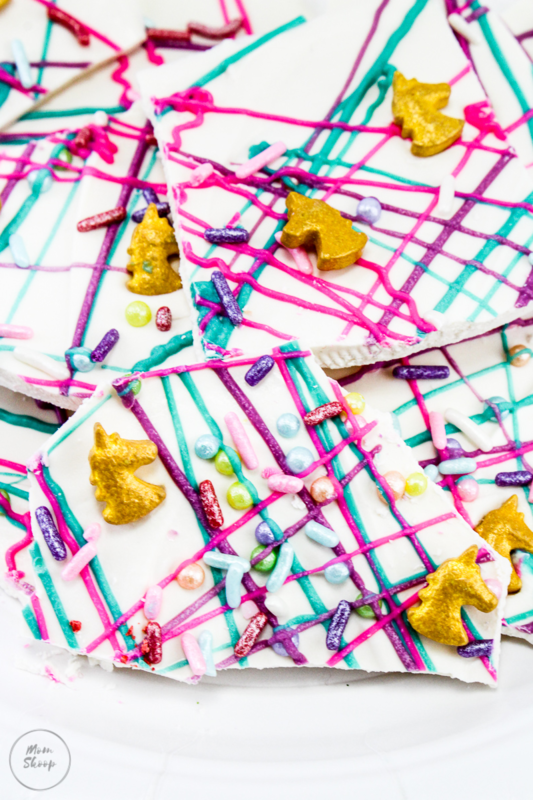 Sprinkle on the shimmer nonpareils. 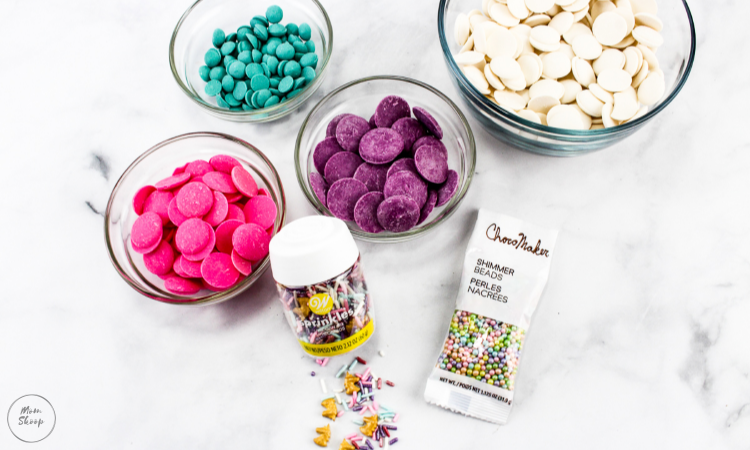 In 4 separate bowls, melt the white, pink, purple, and teal chocolate discs according to package directions. 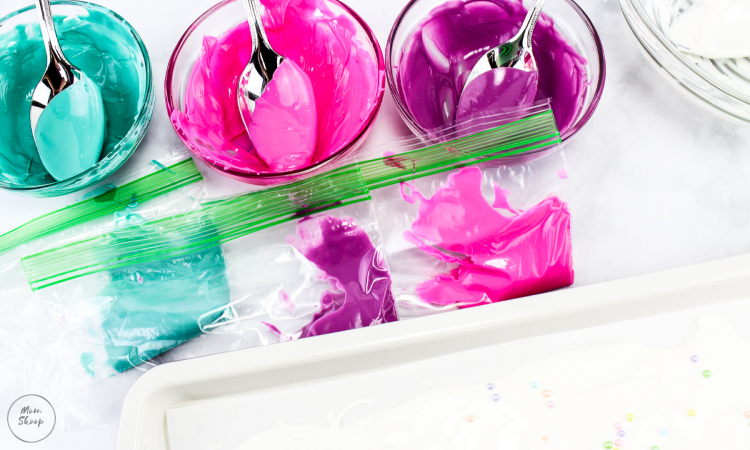 Place the pink, purple, and teal melted chocolate in a sandwich baggie and snip the corners. 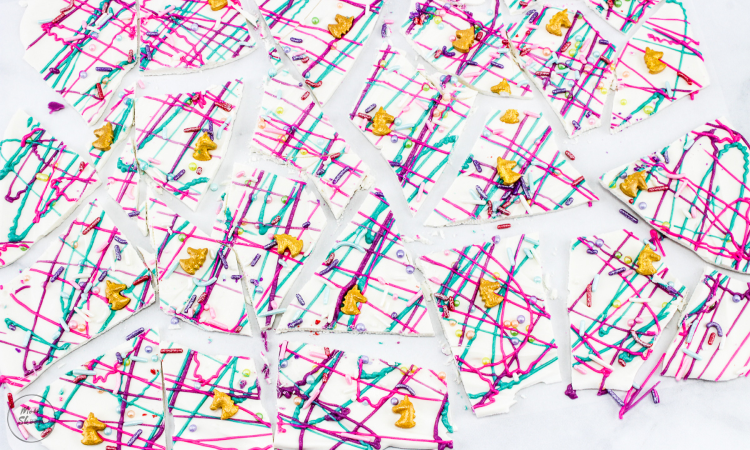 Drizzle each color over the white chocolate. 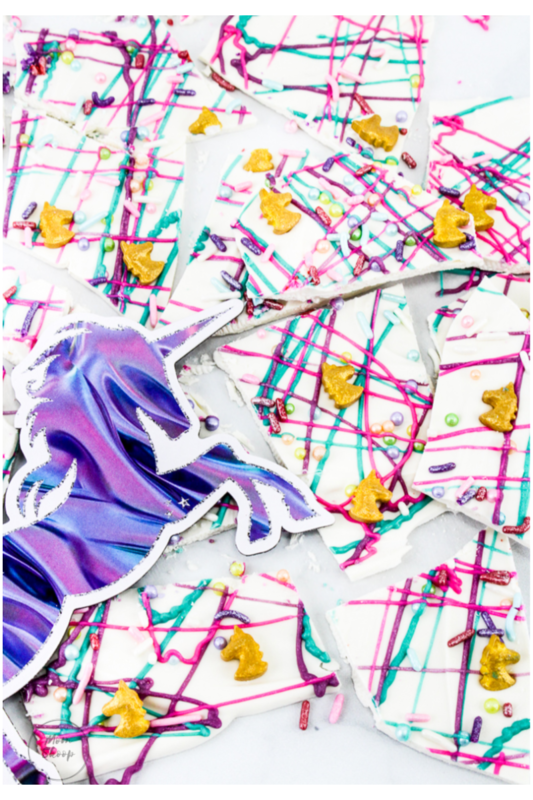 Sprinkle on the unicorn mix sprinkles and let dry completely. 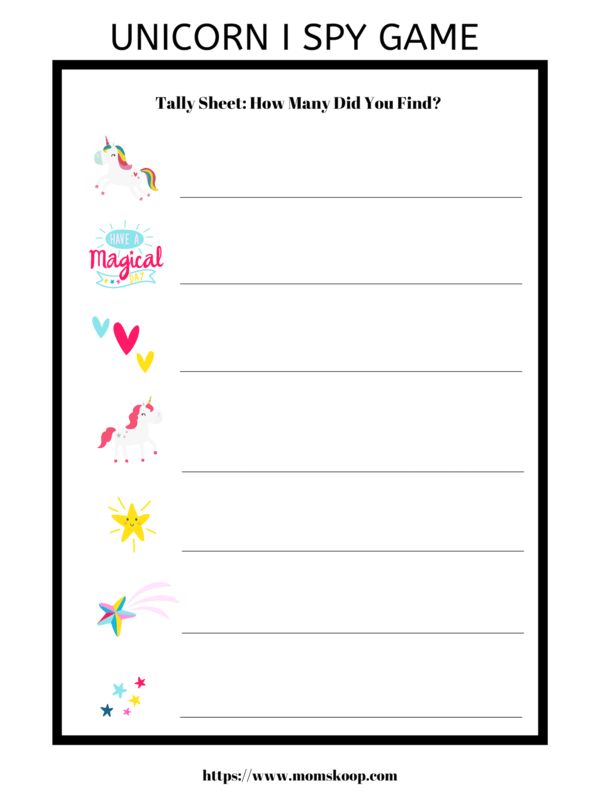 Here is a FREE Unicorn I Spy Printable! 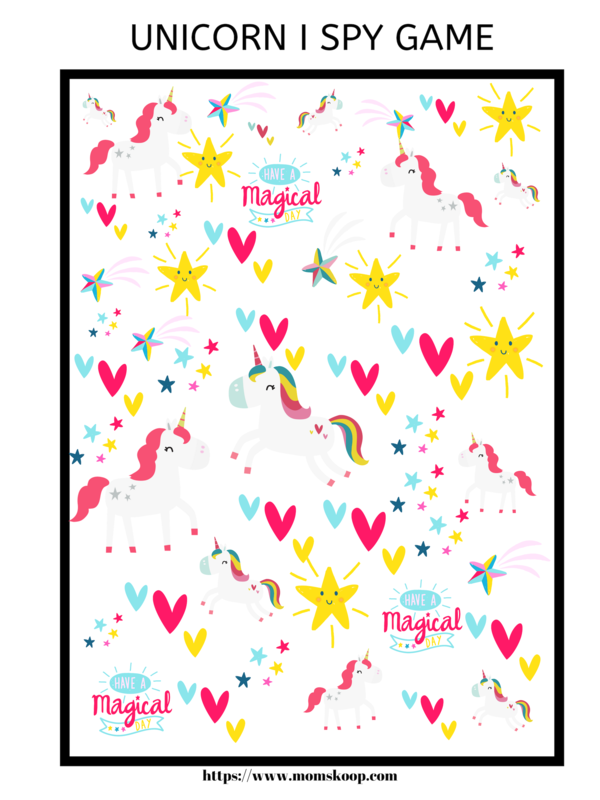 This printable would be perfect for a Unicorn themed party or just for because!